If your research project requires you to find information about a country one of the first places you might start is an encyclopedia. Encyclopedias are a great place to get basic information on a country's geography, people, and products. 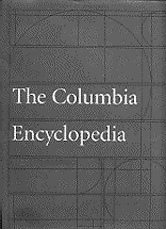 You can find Print Encyclopedias in the Reference section of the library and find Online Encyclopedias below. This might be a good time for you to think about what kind of information you need. Is it about the population? Check for people or demographics. Is it about the economy? Check for GDP, unemployment, and types of industry. For some categories the data is estimated for last year. For others it may be from 2 or 3 years ago. Be sure to notice and reference the year of the data you are using. This data is a good snapshot of a country but if you are looking for data over time you will want to consult other sources. These may include reference books, government websites, and other authoritative online resources. Funk & Wagnalls New Encyclopedia is one of the most widely used and well-regarded reference works in the English language. A reference database containing 3,456,579 full text articles in 830 reference books from 109 publishers. 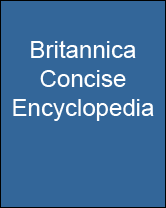 Britannica Concise Encyclopedia has comprehensive coverage on a variety of subjects including, arts, business, geography, history, literature, philosophy, politics, pop culture, science, sports, and more. The Companion Encyclopedia of Geographyprovides an authoritative and provocative source of reference for all those concerned with the earth and its people. Examining both physical and human geography and charting human activities within their habitat up to the present day.